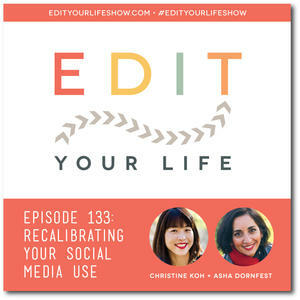 Christine and I talk about the *what* and *how* of managing social media, and also dig into the *why. 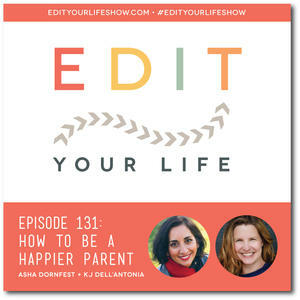 * We share simple tweaks that will help bring your social media use back in bounds while suggesting ways to shift attention to your offline life. 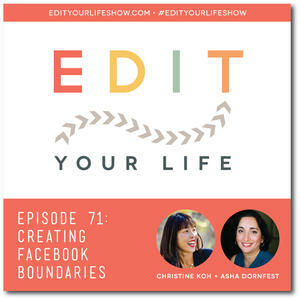 In this podcast, Christine and I share 9 tips to help you get clear on the benefits and costs of Facebook for you, and offer practical strategies for creating boundaries so Facebook doesn’t take over your life. Buy PARENT HACKS between November 25-28, 2016 and get a FREE set of 12 reusable cupcake liners. 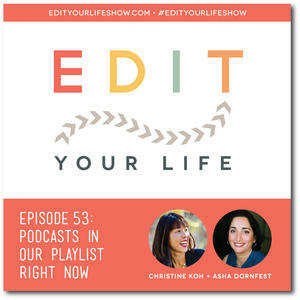 Christine and I share 13 podcasts we’re listening to right now.